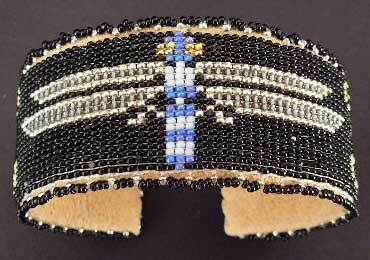 Teri Greeves is a highly accomplished and recognized beadwork artist. Her work has won a number of prestigious awards and is held in museums and private collections across the country. This striking bracelet features a silver, blue, and gold dragonfly against a black background.